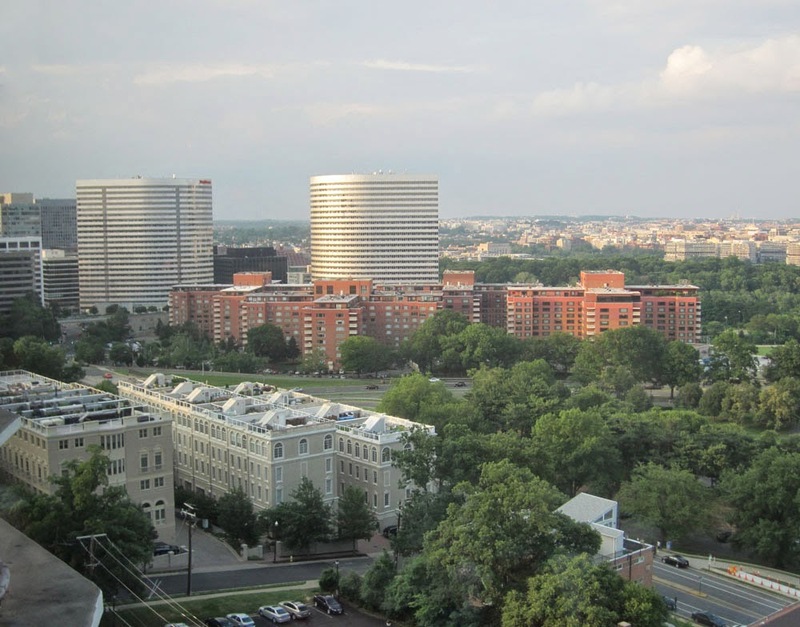 Last night's RAFOM Civic Association annual meeting was held at Rosslyn's Top of the Town. The view from Top of the Town is the best view in the region. From Top of the Town you can see the new line-up of the Brompton's condominiums, the full scope of the Riverplace Condominiums, and Rosslyn's alluring, curvaceous twin towers. Notice also the extent of greenery. Rosslyn may be a lot like Manhattan and San Francisco, but Rosslyn probably has more trees than either.